Equal Pay Day is Tuesday, April 2. That's the day that symbolizes how far into the current year women must work to earn what men earned last year. The Colorado Senate will debate the Equal Pay Act this week. Anne Trujillo talked to Charlotte Sweeney of the Colorado Women's Bar Association to learn how it will work. DENVER -- Equal Pay Day is Tuesday, April 2. That's the day that symbolizes how far into the current year women must work to earn what men earned last year. This Colorado Senate will debate the Equal Pay Act this week. 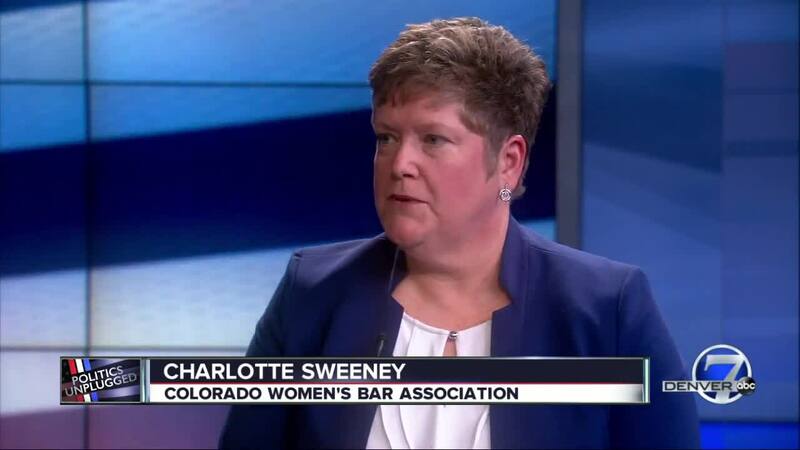 On this week's Politics Unplugged , Anne Trujillo talks to Charlotte Sweeney of the Colorado Women's Bar Association to learn how it will work.